Motoroyale is planning to introduce premium niche motorcycle brands to the Indian market and SWM is one of them. The company had already showcased the SWM SuperDual T at Great Adventure Trail in April. The launch is expected to take place within next three weeks and Motoroyale is also planning to introduce FB Mondial. Indians might not be aware of SWM as the company had to cease its operation in 1984 due to financial issues and the brand started its operations again in 2014. 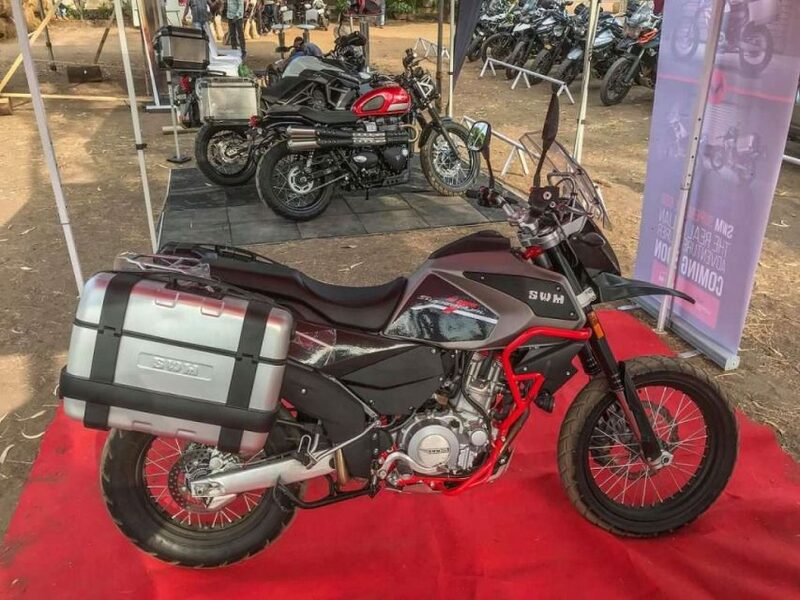 SWM is focusing on premium adventure segment in India as it is experiencing good growth in recent times thanks to products from Triumph and other manufacturers. SWM SuperDual T is a middleweight adventure motorcycle, which is going to compete against Benelli TNT 600 GT and Kawasaki Versys 650. 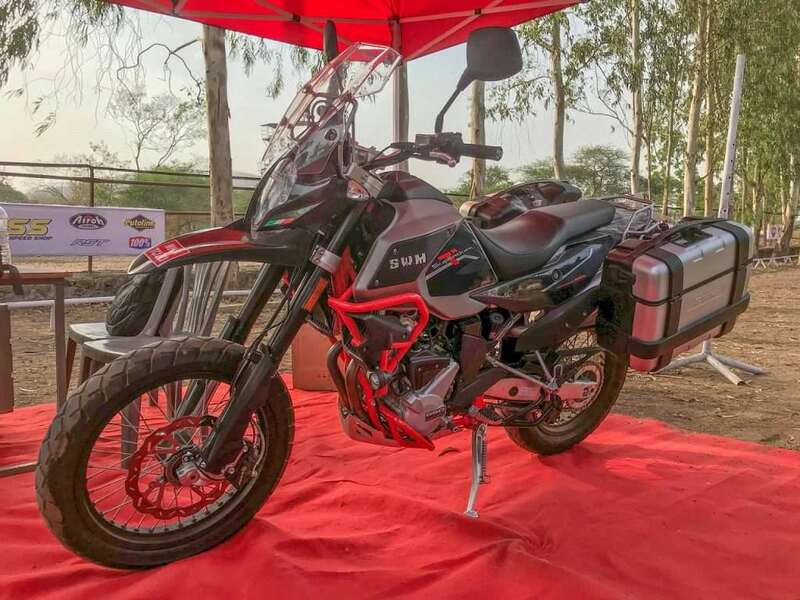 The Italian manufacturer will introduce two variants – base and X variant, the latter is focused towards off-roading and these products will be imported to India, so pricing will be on the expensive side. The SuperDual T is powered by 600cc single cylinder, fuel injected engine producing 53.64 bhp of power at 7,500 rpm and 53.5 Nm of torque at 6,500 rpm. This engine is going to be mated to 6-speed gearbox. The braking power comes from 300 mm front disc and 220 mm rear disc with dual channel ABS as standard. The dimensions are 2240 mm in length, 905 mm in width and 1385 mm in height. The wheelbase is 1510 mm and ground clearance is 180 mm, but the X variant is 30 mm longer and 20 mm taller along with 50 mm more ground clearance also. The dry weight of both variants is 169 kgs and the company has also given a bigger 18-litre fuel tank for SuperDual T.
The suspension duties are handled by the upside-down telescopic hydraulic fork with an advanced axle and rebound damping adjustment at front and mono shocks at the rear. The company has given 19-inch wheels at front 110/80 section tyre at the front and 17-inch wheel at rear with 140/80 section tyre.